Nine tax inspectors were detained as part of an investigation into Gulen movement supporters in the southern province of Hatay on Wednesday. Hatay police carried out operations at several locations and rounded up the nine suspects, some of whom were earlier dismissed from their jobs over Gulen links. 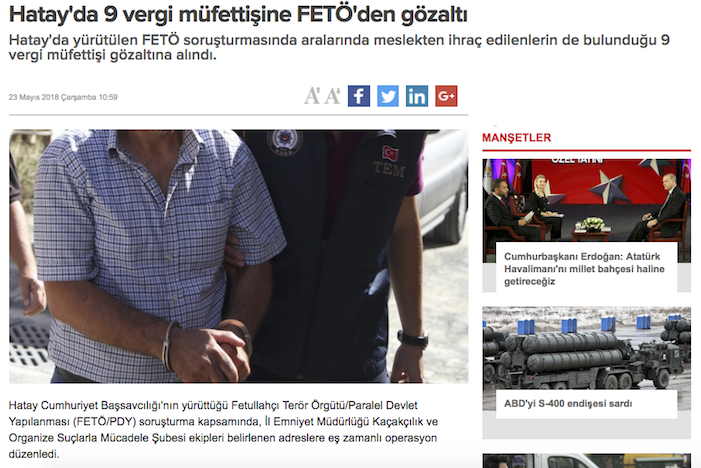 Turkish government blames Gulenists for the July 15, 2016 failed coup and calls them a terror group while the latter denies involvement and any terrorist activities.